PR- public relations- is sometimes seen as a luxury that only big corporations can really afford. Smaller companies and start-ups may have a modest marketing department that deals with matters like advertising and promotion, but they’re less likely to have a dedicated PR team. Of course PR can be outsourced to a professional agency, and often that’s the best approach to take. But too often businesses think that they can do without it, and that’s a bad mistake. That attitude partly stems from a common misunderstanding about what PR actually entails. PR is not the same as marketing. Although the activities of a PR department may include elements of marketing, the same cannot be said the other way around. Your marketing team will not be able to effectively handle your brand’s PR. PR isn’t about directly selling your products or services. It’s about establishing and maintaining your brand’s relationship with the public, and its public face. It’s about networking and building strong connections with influencers and the media. It’s about creating superlative content, including press releases and articles aimed at establishing your brand as a thought leader in its field. It’s about getting positive stories about your business in the press, and it’s about defusing negative ones. The internet is a great opportunity for anyone to make their voices heard, but it’s largely unregulated. In cyberspace, everyone’s opinions can seem equal. One individual saying something negative about your brand, for whatever reason, can outweigh all of the good reviews and positive mentions you’ve received if it’s prominent enough. Your PR team is there to counter this in whatever way necessary. They can give your side of the story and make sure that it’s heard. PR isn’t just about damage limitation, but too often companies only realize they need good PR when bad publicity rears its ugly head. Your brand can equally be damaged by association with unauthorized sellers and third party groups selling your products or using your name on marketplace sites like Amazon. Taking out Amazon seller protection is the best way to combat fraud in these cases and defend your brand from unauthorized usage and misrepresentation. Good PR can also help you to optimize your own listings and to build up a brand strategy to maximize sales. You can have the best product in the world, but that won’t be much good if nobody has heard about it. This is where PR crosses over into marketing, as it works to promote awareness and give your brand an active voice. It’s not just about selling your product however. It’s about having a voice in the right places, joining in the right conversation, and being seen as a mover and shaker within your particular industry. 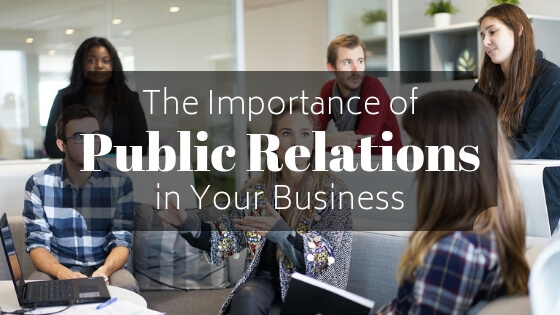 PR can also help you to identify your brand’s core values, which is invaluable in terms of working out an authentic promotional campaign that will really connect with your target audience. What is your brand really all about? What does it stand for? PR can help you to answer those questions and so find your niche. Knowing your brand in this way enables you to give it a meaningful voice that people will listen to and take seriously. The way that brands communicate with their public is increasingly via social media. Because we all have probably used sites like Facebook and Twitter for our personal accounts, we think we know how they work. But developing a brand strategy for social media is very different from chatting with your friends. A consistent policy that will maximize your organic reach and help to build an online community around your brand is what you should be striving for, and a good PR team should have the tools to make this happen. PR is a skilled task that requires a lot of time and energy. For a business without a PR department of its own it’s best to contact an existing PR agency with a proven track record of working in your industry. Find out what they can do for you, and don’t wait until you have a problem that needs fixing. PR is a whole lot easier and more effective if you’re using it to reach out on your own terms, rather than reacting to negative publicity. As a business your relationship with your public has to be your number one priority. It makes sense to give this area the attention it deserves.